He was also ordered to pay a hefty fine. The supreme court of Russia-annexed Crimea found Ukrainian citizen Andriy Zakhtey guilty of plotting sabotage and illegal storage of ammunition and explosives, and sentenced him to six and a half years in a high-security penal colony. The court also fined him 220,000 roubles (around 3,900 dollars). Zakhtey's lawyer Ihor Pyvovarov said that the defence would appeal the verdict, according to Radio Liberty. On 10 August 2017, the Russian Federal Security Service (FSB) said that it had prevented terror acts at critical infrastructure in Crimea, allegedly plotted by the Ukrainian military intelligence. 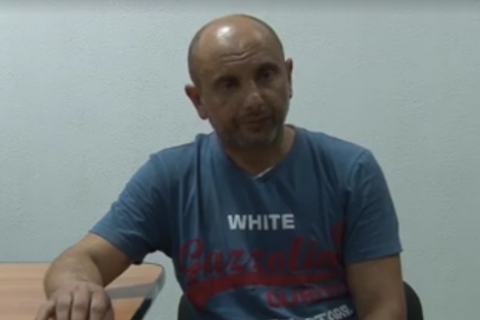 Andriy Zakhtey was detained in occupied Crimea on charges of alleged conspiracy in plotting terror acts.